The trucking industry is regulated by state and federal law. Trucking companies are required to provide adequate driver training, maintain vehicles, and ensure drivers are accurately reporting the number of hours they drive in a given day. However, due to increased pressure to deliver goods faster and cheaper, corners are often cut and regulations not always followed. At the Orzoff Law Offices, our attorneys work with accident investigators and industry specialists to expose negligence that leads to truck accidents. We subpoena a driver’s log book, review his or her licensing and training record, and interview eyewitnesses. We identify violations of the law and general carelessness on the part of drivers when holding them legally liable for our client’s injuries. Our lawyers understand how to investigate accidents involving semis, tractor trailers, delivery vans, and garbage trucks. To schedule a free consultation to discuss your case, contact truck accident attorneys at Orzoff Law Offices today. In order to determine the financial impact of our client’s injuries, we consult medical economists and life care planners who provide cost analyses and financial projections regarding medical expenses, lost wages, and diminished quality of life. In order to explain to jurors how our client’s life has been irrevocably changed by his or her injuries, we use “before” and “after” photos and video footage to demonstrate the day-to-day challenges facing our client and their family. 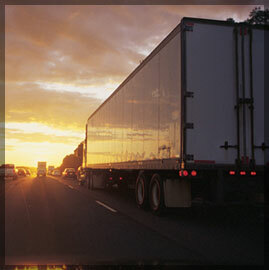 Trucking companies are aware of the costs associated with truck accidents. That’s why most of them train their drivers in methods for avoiding blame after an accident happens. Our office has handled numerous truck accident cases. We understand what to look for, how to identify red flags that suggest information is being covered up, and what needs to be done to leverage our client’s case with jurors. To schedule a free consultation to discuss your case, contact truck accident lawyers at the Orzoff Law Offices today. The sooner we can get to an accident scene and investigate it, the better.